Julius Sairowua at the Porini Lion Camp in the Olare Motorogi Conservancy, Kenya. We’ve built a school and provided education, healthcare, clean water and more to villages in the Peruvian Amazon, Nicaragua and Zambia. With a scholarship to the Koiyaki guiding school, Julius Sairowua, a young Masai man, is now a guide at Porini Lion Camp. Together, we have have great power. WE do this. Our small gifts provide families in the communities where we work opportunity to reach their goals and improve their lives: 100 percent of donations go directly toward projects. *Contributions are tax-deductible. 100 percent goes to projects. Journeys of Solutions, a nonprofit organization, is accepting donations for us without a fee, so supporters can make contributions, online. Make a tax-deductible gift online. 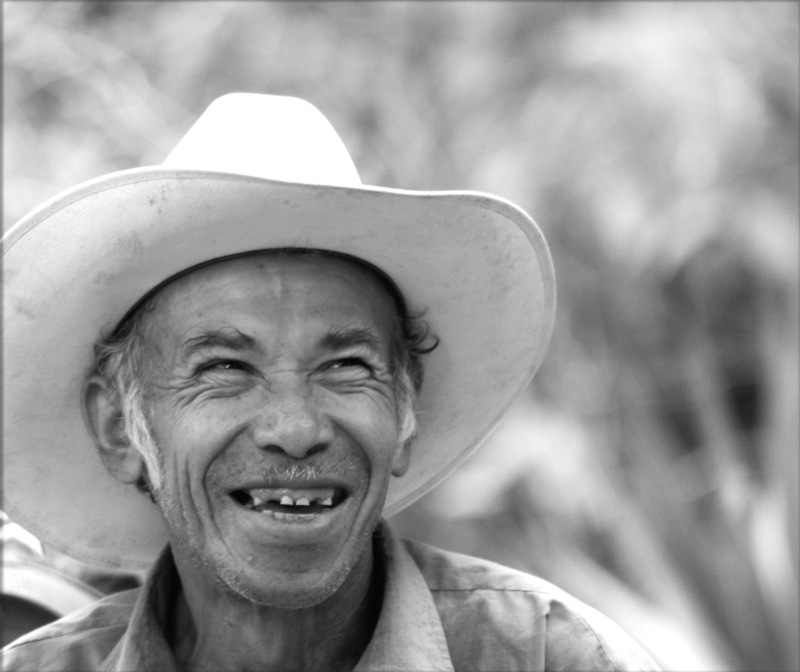 Nicholas Martinez and fellow farmers in Las Minitas, Nicaragua, have developed organic coffee, basket-making and eco-tourism cooperatives based on sustainability that draw on tradition to improve their community. Hey Kris! So happy to see you living your dream! I saw in the Sentinel that you are hosting a fundraiser at CB this weekend. Please stop in to The Rabbit Room and pick up a gift certificate to use as a prize. I’ll have it waiting there behind the bar later today. It has been a few years since we hosted the fundraiser, and as Julius sent a photo today, i am reminded of this generous donation. Thank you for your support of the dream and also Julius, for his education!